Compared to the beautiful, meditative elements of Winter, its plot is relatively thin. After splitting up with his girlfriend, Charlotte, Art returns to Cornwall to visit his gruff mother Sophia for Christmas. Too embarrassed to arrive alone, Art hires a stranger to pretend to be his partner, and together, they invite Art’s estranged aunt, Iris, to dinner. She and Sophia couldn’t be more different, both politically and socially, although there was a time in their shared past when they seemed to get on well. Like a well-staged drama, the quartet unravels with wicked familiarity. 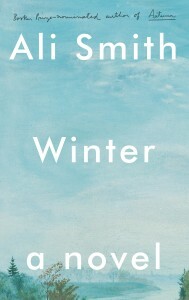 Readers of the transcendent Autumn will likely be surprised with Winter, as it appears to be a basic dinner-table drama. Yet there are some delightful and strange twists that expand the novel beyond traditional family disfuncion. Art is a passionate nature blogger, despite being a terrible writer. He claims to have plans for a great post about snowfall, but doesn’t feel right publishing anything until the first snowfall of the season, which appears to be delayed indefinitely thanks to climate change. After his breakup, Charlotte hacks his twitter account and posts a series of fake-news nature tweets about whiteout snowstorms and rare bird sightings. The public eats it up and his followers quadruple. Meanwhile, Sophia is suffering from a quiet nervous breakdown and has begun to anthropomorphize the cataract drifting in her vision. She sees it as a floating head, talking and sleeping with it like a beloved doll. Despite these remarkable details, there are still the usual turns of family drama: the two sisters fight, unearth long-buried stories and family secrets, and eventually make up. It gives a voice to spirit at its biggest, and encourages spirit at its smallest, its most wizened, to soak itself in something richer. It intrinsically means a revisiting. It means the rhythm of the passing of time, yes, but also, and more so, the return of time in its endless and comforting cycle to this special point in the year when regardless of the dark and cold we shore up and offer hospitality and goodwill and give them out, a bit of luxury in a world primed against them both. Charles Dickens is omnipresent throughout Winter, with the ghosts of Christmases past, present and future spilling out through shared memories between Iris and Sophia. The now-ness that made Autumn so startlingly relevant is even more relentless here: characters explicitly fight over the Brexit vote, Trump wages his war on Christmas, and the memory of the Grenfell Tower fire still smolders. “Refugees in the sea. Children in ambulances. Blood-soaked men running to hospitals or away from burning hospitals carrying blood-covered children.” “God help us, everyone,” Smith writes. 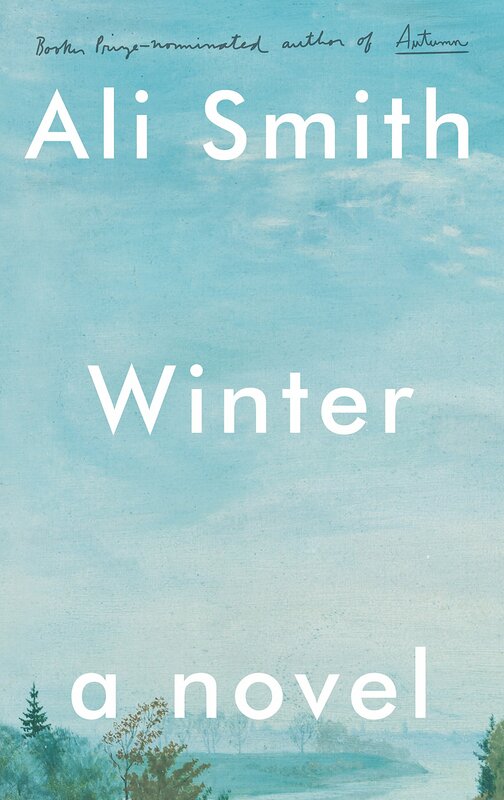 Whereas Autumn dwelled on the surplus and subsequent loss of memory, Winter manages to look forward from a place of hibernal desolation. “It takes a death sometimes to make us all live a bit more,” Smith explains, finding something akin to optimism during this time of freeze and thaw. Though bleak and familiar, Winter passes like the promise of an early crocus.